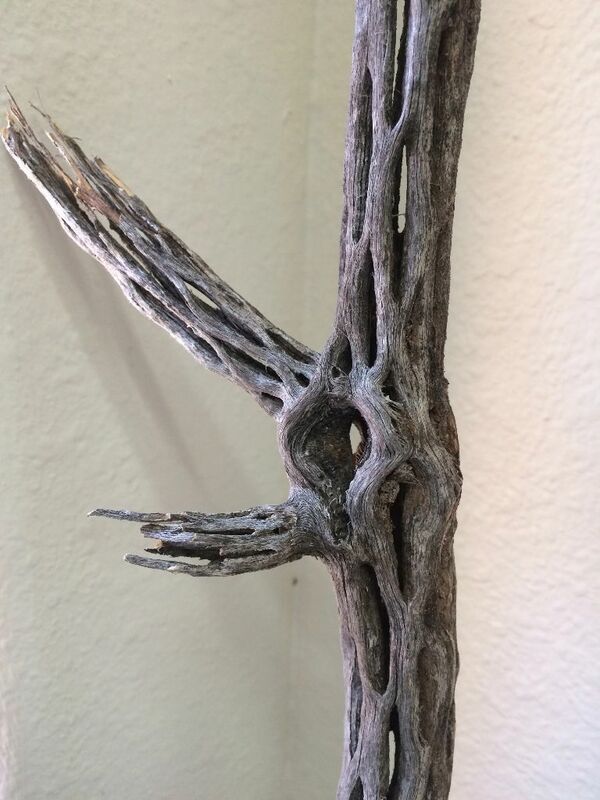 The skeleton of a Cholla cactus branch. There is something wonderful about the dried bones of the cholla cactus. They aren’t really bones, of course, they are the fibrous, woody inner structure of the plant and an ubiquitous part of the desert landscape. from True West Gallery in Santa Fe. They mentioned that they were interested in more paintings of that size and shape so I stretched several canvases. After several layers of sanded gesso, I added thin layers of colored glazes, alternating with crackle mediums, dustings of metallic oxides and more and more color. The resulting painting, Raven on cholla #1 is in the gallery right now. And so was I a few weeks ago, painting all day and sharing techniques with patrons and vistors. If you’d like to visit my studio just pop me an email so we can arrange a time! Hi Liza — your work just amazes me! It’s hard to think of the kid I knew up at the lake, playing on the beach and playing cards, just being kids, having such talent! So excited to hear about your show. I wish I could see your work in person. Someday when I’m visiting my friend Jane Rosemont in Santa Fe, maybe you’ll be there, too! Thanks so much, jeannie! Be sure to let me know when you’re here! It would be fabulous to see you. 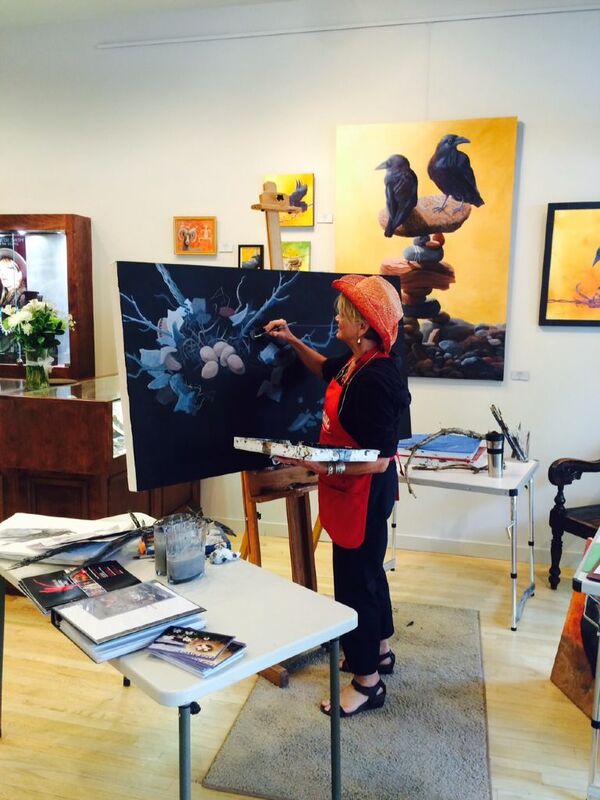 Tell your friend Jane to come visit my studio during Santa Fe Studio Tour the last two weekends in June! And I know exactly what you mean about the lake. Just thinking of the sense of the sand and the Pines there calms my heart.